Dinner at Hawaiian BBQ and Dim Sum, in the Vons shopping area. Got the grilled salmon for $9.58. 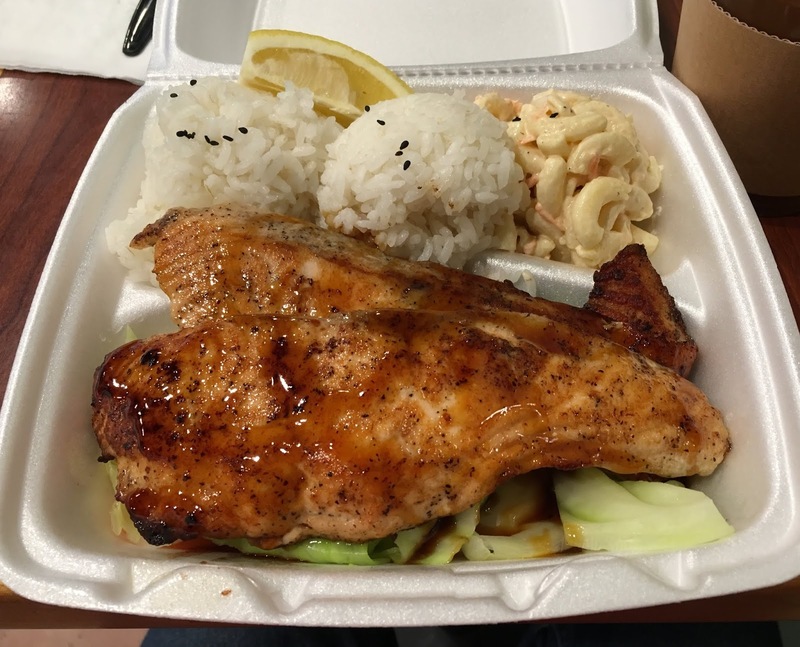 It came with rice, macaroni salad and veggies, under the salmon. Also got an iced tea for $2.38. Tasty.